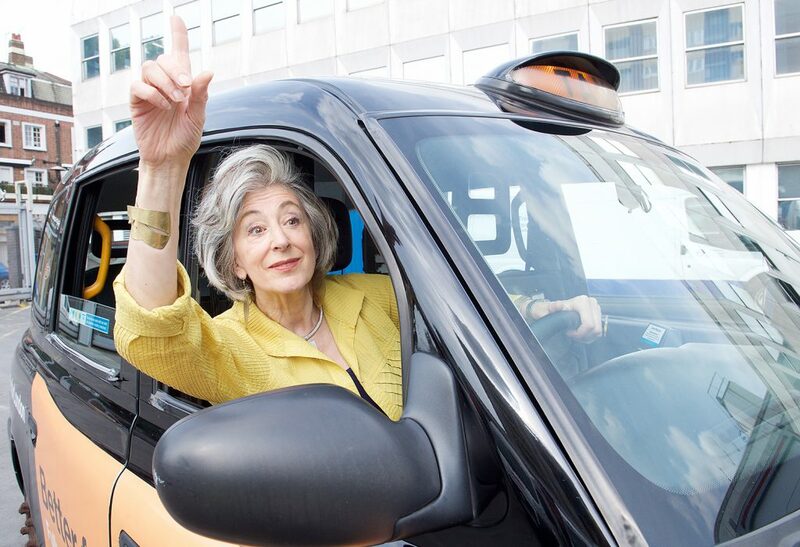 Acclaimed actress and writer Maureen Lipman is to direct the stage premiere of her late husband, Jack Rosenthal’s, iconic comedy, The Knowledge at London’s Charing Cross Theatre. The Knowledge, adapted by Simon Block (Home Fires, Hotel Babylon, Wire in the Blood, Inspector Lewis) is based on his hilarious 1979 TV film show of the same name which starred Maureen. Set against the backdrop of the harsh economic times of 1979, the play follows the comical struggles of four Londoners as they attempt to better themselves by attempting the fearsome “Knowledge” – the process of becoming a London black cab taxi driver. Maureen said: “It is 13 years since I lost my husband, the unassuming genius Jack Rosenthal. The Knowledge is perhaps Jack’s best realised play – a hymn to the London that he came to love. “It shows the years of pain, strain and sacrifice that London cabbies have to endure to acquire The Knowledge, pass the world’s toughest and most terrifying taxi examinations and earn the right to wear the Green Badge. “Since The Knowledge was first screened on ITV 38 years ago, London’s finest cab drivers face challenges from UBER and their sat navs, bike lanes, road works and terror. “But they represent the unique excellence and expertise that has made London the great city we are all so proud of and they deserve our support … because they, and we, are worth it. “This is my 50th year in the acting business and, having acted in the original film, I was thrilled to be asked to make The Knowledge the next show I direct. The Knowledge was nominated for a BAFTA as Best Single Play. In 1995, film historian Geoff Phillips declared it “certainly the best TV play Britain has ever produced”. In 2000, the BFI voted it as one of the TV 100 – the 100 greatest television programmes, of any genre, ever screened. To qualify as a Licensed London Taxi Driver a candidate (a “Knowledge boy/girl”) must first commit to memory the Blue Book. It is not blue, but does contain 320 “runs“ or point-to-point journeys within six miles of Charing Cross. Once a candidate has passed a written exam on the runs, they then begin their Appearances: a series of one-on-one oral examinations where the examiner can ask them to “call” the shortest route between any two points “within the six”. Regarded as the most difficult taxi exam in the world, and equivalent to any professional qualification, The Knowledge has a dropout rate of 70%. The elite few who make it take an average of four years, in which they must live, eat and breathe central London’s 25,000 streets and (they say) 100,000 points. The Knowledge previews at Charing Cross Theatre from September 4 and runs until November 11.